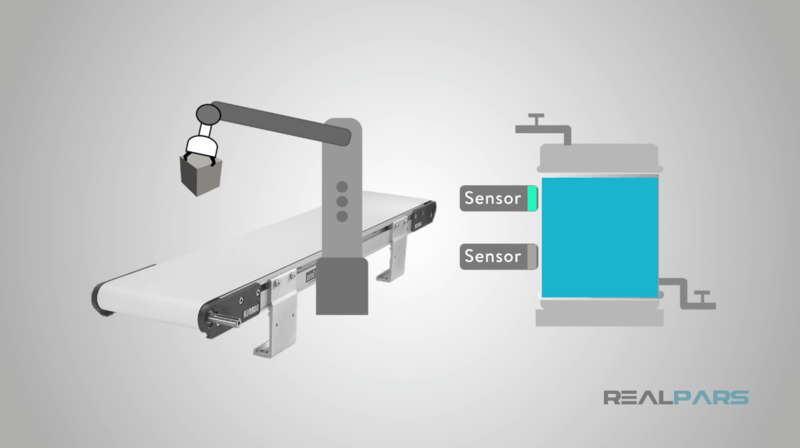 In this article, we are going to familiarize you with the types of sensors that we frequently use in industrial equipment. 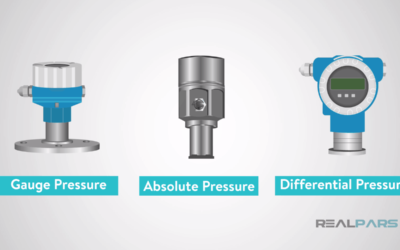 In this article, we are going to familiarize you with the types of sensors that we frequently use in industrial equipment. We intend this to be an introductory video for a new engineer just getting started, or for anyone looking for a general understanding of some general controls concepts. 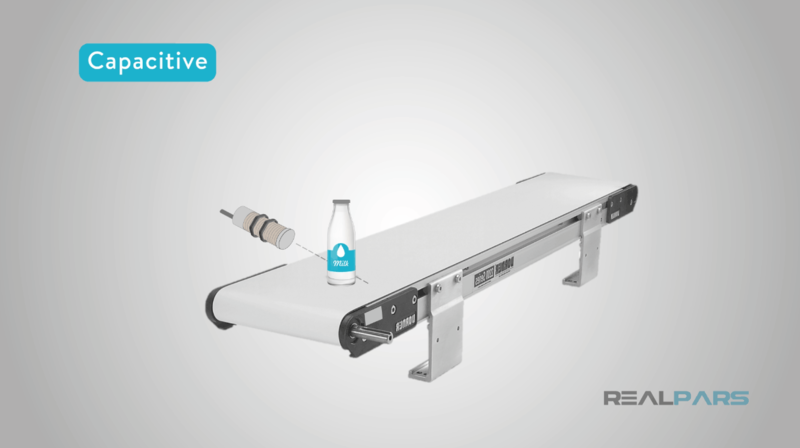 Sensors are the figurative eyes and ears of and control system. In general, if you want to control it, you must sense it. 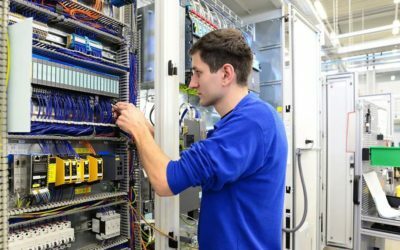 Because the controls engineer is often called on to specify sensors and deal with sensing problems, sooner or later we all get more than enough familiarity with them. 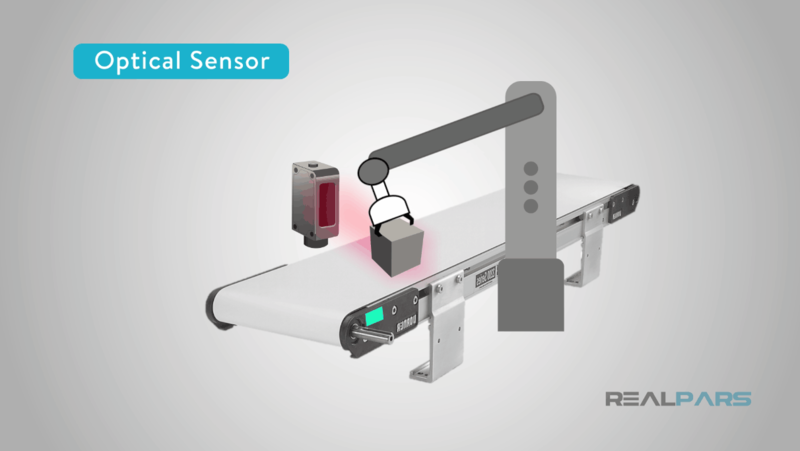 As a controls engineer, we often tend to see things from the electrical end of things, so in this exploration, we will look at two broad categories of sensors: Digital sensors that return on/off signals, and Analog sensors that return a range of values. Our first stop is Digital sensors. 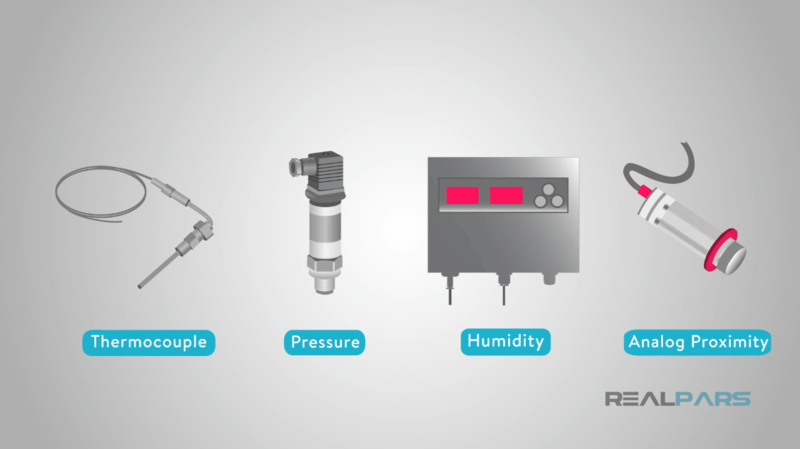 These are by far the most commonly used sensors in the industrial world. 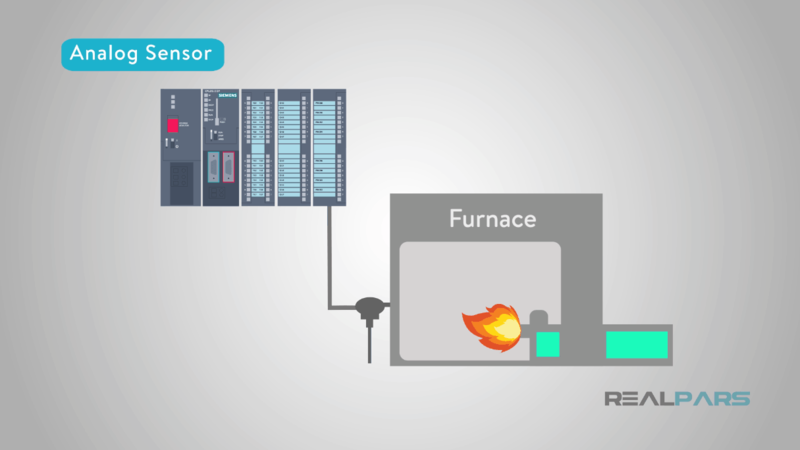 So, what is a “digital” or “binary” sensor? In theoretical terms, we are referring to something that returns one or more bits of information per sensor. Initially, they were simple: A contact that touched another contact when something got where it was supposed to stop. In those old machines, this often meant 110 Volts exposed for the operator to touch or passing through the machine frame – Unsafe under any condition, and probably illegal in today’s safety conscious world. Later these became a switch that flipped when something got to a position. These are referred to as “limit switches”, and are still in use. We use these sorts of sensors for anything that we divide into two states – On and Off, True and False, Is and Isn’t. For example: In Position, Full, Empty, Power On and Running. 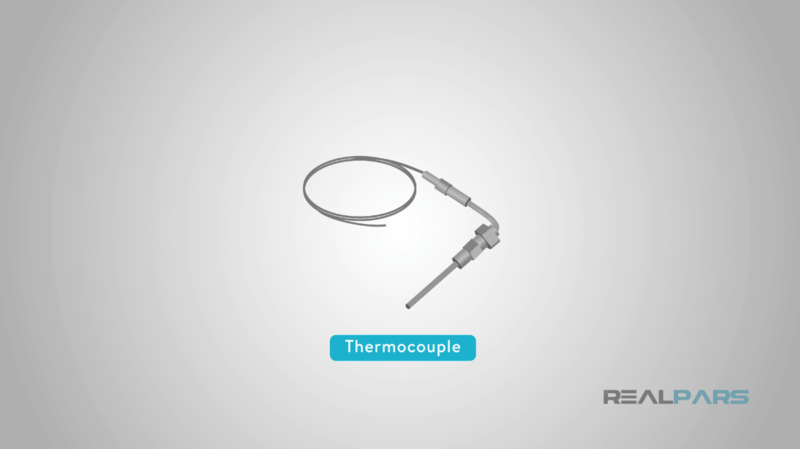 Let’s look at a few examples of these kinds of sensors. First, as mentioned before, mechanical switches of various kinds are still around. 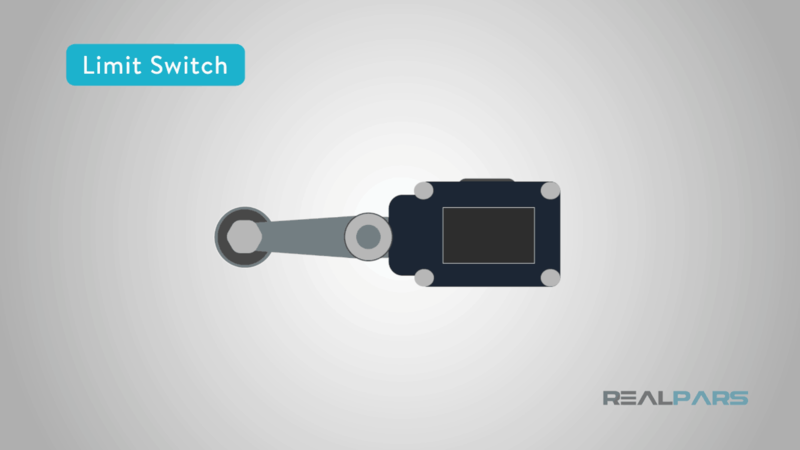 Limit switches are still used in ugly, dirty environments thanks to their “armor-plated” construction. One big reason they have become less popular over the years is that they are huge compared to many of the other sensors available. Proximity sensors, very often called “proxes”, are used for detecting close metal objects using magnetic fields. 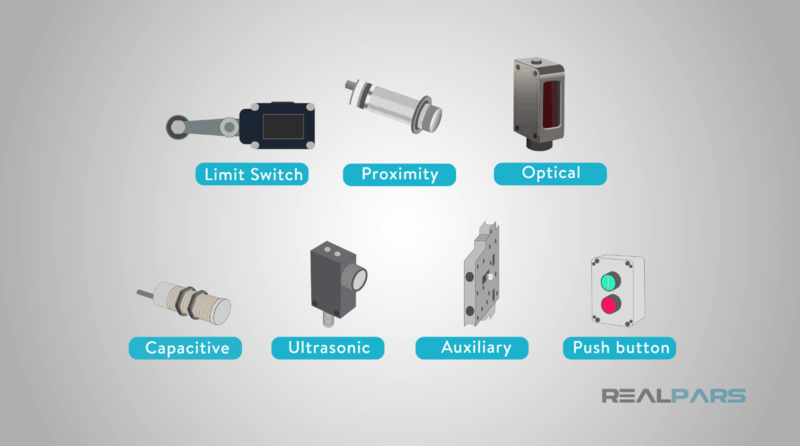 In many environments, these have replaced limit switches in position sensing applications. 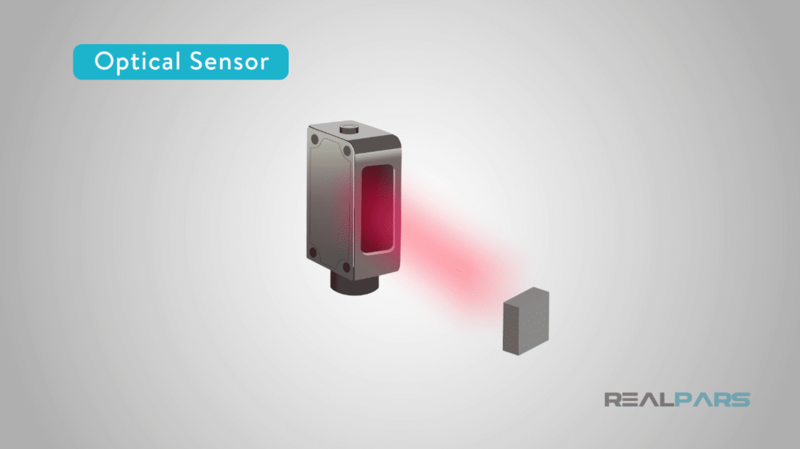 Optical sensors have a much longer range than proximity sensors, but they are susceptible to dirt and other environmental and mechanical issues because they use light for sensing. 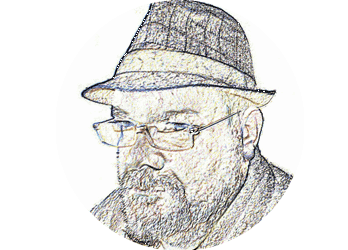 We often use them where we are not picky about exactly where the target is, but we need to know it is “there”, like boxes on a conveyor where we don’t care where on the conveyor it is, just that it is passing by. 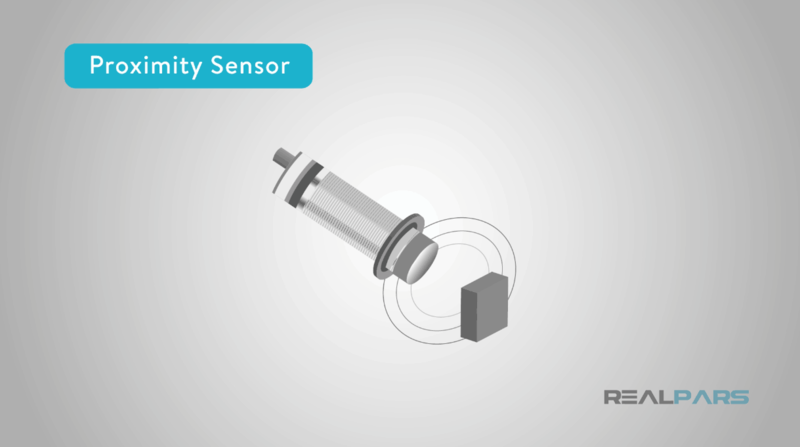 Capacitive proximity sensors are like a proximity sensor, but for detecting non-conductive materials. They are very sensitive to contamination and historically have not been very dependable. 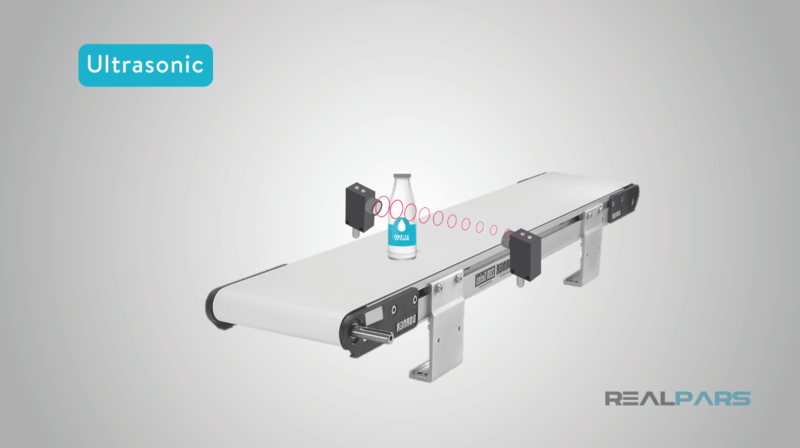 Ultrasonic proximity detectors detect solid objects using high-frequency sound but are very susceptible to environmental conditions and dirt. We don’t use them often, but they can solve sensing problems nothing else can. 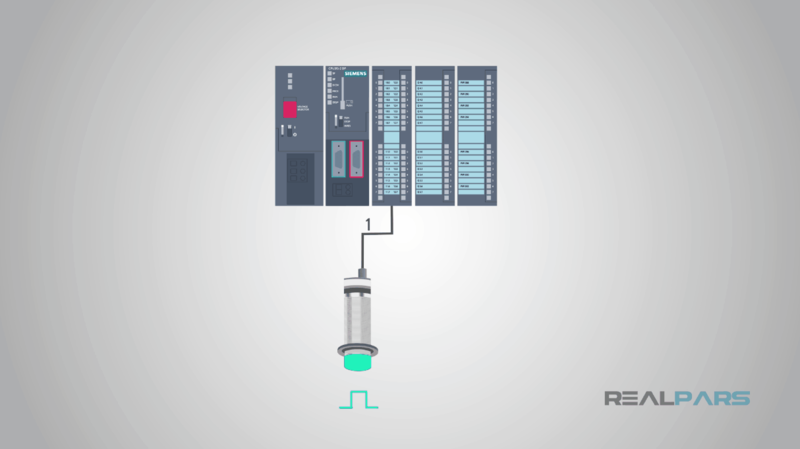 An auxiliary contact is a part of a relay. These tell us when whatever is controlling the relay has turned it on or off. A push button senses the operator’s action. For now, that is all we will say about digital sensors. Most controls are still designed around on/off signals, so these are the “bread and butter” of a controls engineer’s life. At one time, cars had no fuel gauge, and you had to have a reserve tank – a gas can – so that when you ran out, you could get to a fuel station. 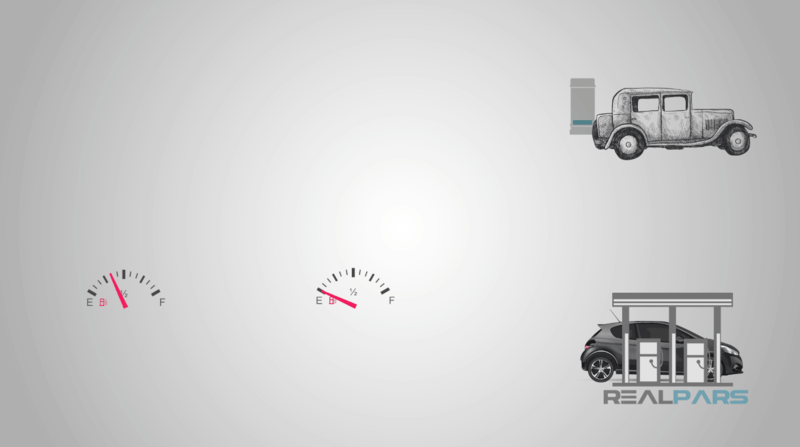 Now cars all have fuel gauges, and we will next look at the sensors that make that possible along with many other measurements that automation requires. An analog sensor is one that converts a variable physical quantity into a signal that the control system can understand – a voltage or current. By physical quantity, we mean Temperature, Pressure, Humidity, Distance and Speed among others. There is a general category of sensor for each of these. Some sensors combine quantities, like temperature and humidity or distance and speed into a single instrument generating two signals. 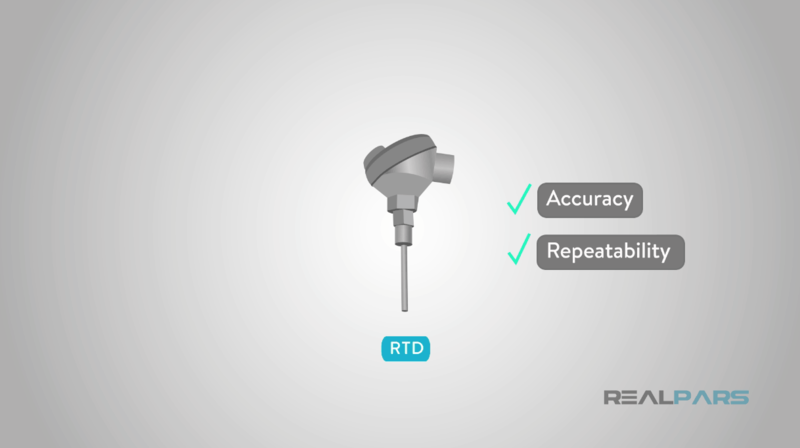 Because of their higher accuracy and repeatability, RTDs are generally a better sensing element when we can use them. 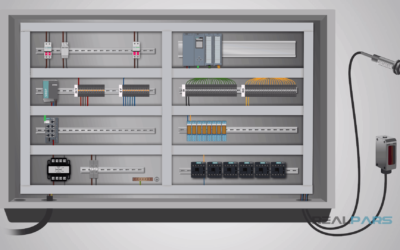 PLCs have cards that are specifically designed to handle both of these kinds of devices. 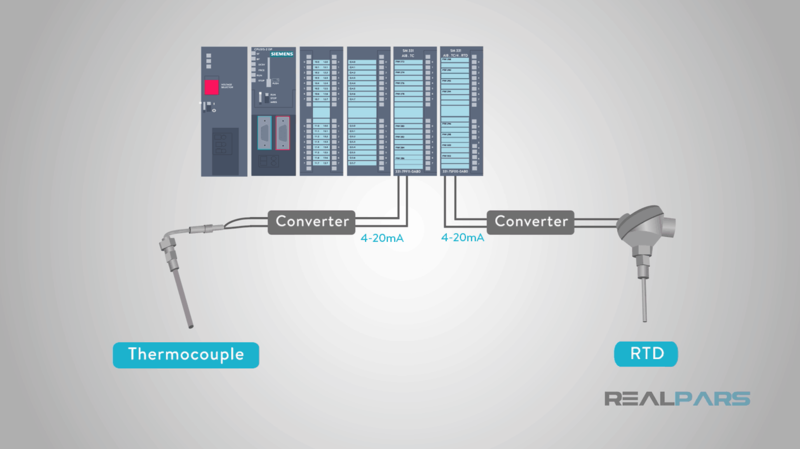 The rest of the signal categories are converted locally into a more generally understood form of signal, either voltage or current before being connected to the control system. If the temperature signals have to travel very far to the control system, we usually convert them like this also. The most commonly used standard today is the four to twenty milliamp signal because of noise immunity and other characteristics, and every type of analog sensor I have mentioned can generally be purchased in that type of output. 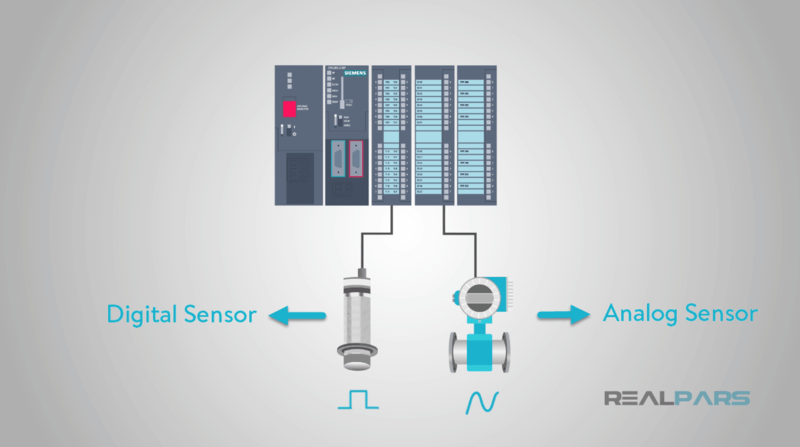 We have just taken a whirlwind tour of the primary sensors used in almost every industrial control system. 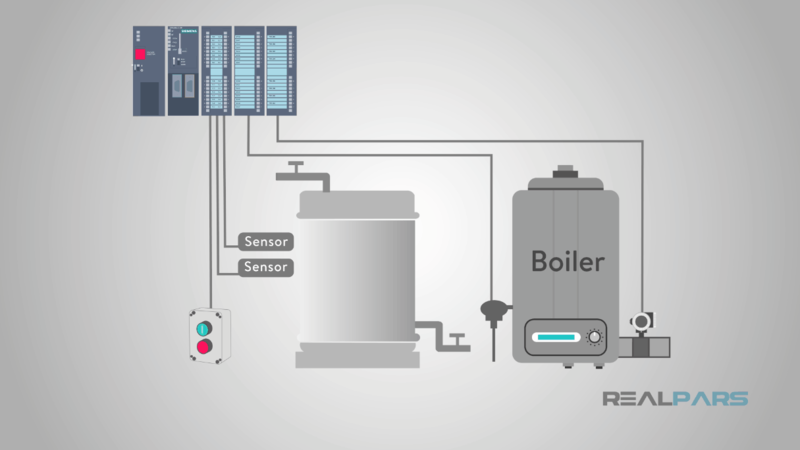 With these types of sensors, we sense everything from which buttons the operator pushes to the height of liquid in a tank to the pressure and temperature of steam in a boiler. These sensors and a few others, with their signals processed by hardware and software, control the industrial processes of the world.